I am not trying to sell you anything. This page is intended to serve as an information resource for people around the world seeking honest and realistic answers about pilot training. What you will find here are my own opinions and facts based on my own experiences. Visit Be a Pilot to learn more. I want to learn how to fly. How long does it take and how much does it cost? The Federal Aviation Administration (FAA) requires that you have at least 40 hours of flying time logged before you are eligible to take the oral and practical (flight) tests which you must pass to become a private pilot. (Of that 40, at least 20 hours have to be of dual flight training with a qualified instructor, and at least 10 hours have to be supervised solo flight. Ask an instructor for more details.) Realistically, it takes most people more like 50 hours before they are ready to take the practical test (checkride). So that means that if you fly three times a week, it will take you about four months to complete your training. You can fly as often as you like, however. You may choose to fly once a week or twice a day, for half an hour at a time or three hours at a time. It's all up to you. Obviously, the more often you fly the faster you will learn. You can take a thrilling half-hour "Discovery Flight" with an instructor for about $75-125, depending upon the location and the airplane. That will give you a chance to experience the wonder and excitement first-hand. You will get to take the controls and fly the airplane yourself! If you like it, you may choose to continue. You can go to a large flight school or a small one. There are advantages and disadvantages to each. LARGE FLIGHT SCHOOLS often train under Part 141 of the Federal Aviation Regulations. The training is usually intense, fast-paced and career-oriented. A large flight school would be an ideal choice for someone who is serious about becoming a professional pilot, is ready to go to flight school full-time and work very hard and is able and prepared to pay a lot of money ($20,000-50,000). A large flight school may even be able to take you from zero time to your first job in a year or two! There are absolutely no guarantees in this industry, however, so be ready for the possibility of not being able to find work right away. SMALL FLIGHT SCHOOLS often train under Part 61 of the Federal Aviation Regulations. This is where an individual student can work with an individual instructor in a more relaxed environment. The instructor has a lot of freedom and flexibility to work with students on a one-on-one basis, tailoring the training to meet their needs, expectations and schedules. You pay for your flight training as you go, lesson by lesson. Or if you prefer, you can put money on account and then "fly it off." Fly at your own pace. There are no contracts. There is no long-term commitment or obligation. You can stop at any time. 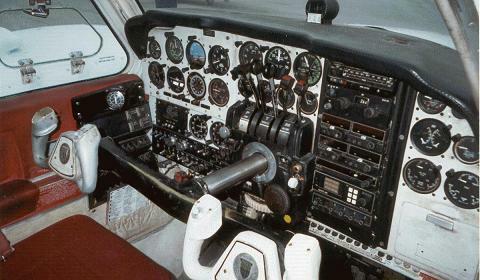 The rental cost of a Cessna 152 (the world’s most common two-seat training airplane) is usually about $75 an hour. (That includes fuel.) Flight instruction is usually about an additional $25-35 an hour. Both the instruction and the rental are tax-free while you are in training. Figuring in airplane rental, flight instruction, test fees, books, and other miscellaneous expenses, you can expect to spend somewhere between $4,500 and $6,500 to get your private pilot's license. You can spread that cost out over whatever space of time makes you comfortable. A year is a common time frame. Does a pilot's license entitle me to fly anything that flies? Suppose, for example, that you earn a private pilot certificate with an airplane single engine land (ASEL) rating on it. This will enable you to legally fly any airplane with one engine and wheels (as opposed to floats, for example). If you want to fly a seaplane, an airplane with more than one engine, a helicopter, a gyroplane, a glider, a hot-air balloon etc., then you will need additional flight training and additional ratings. The various categories, classes and types of aircraft all fly differently and require unique skills. Therefore, they also require separate licenses. No, learning to fly an airplane does not require superhuman intelligence or dexterity. All it takes is patience and a willingness to practice until the necessary skills have been mastered and the necessary knowledge has been acquired. 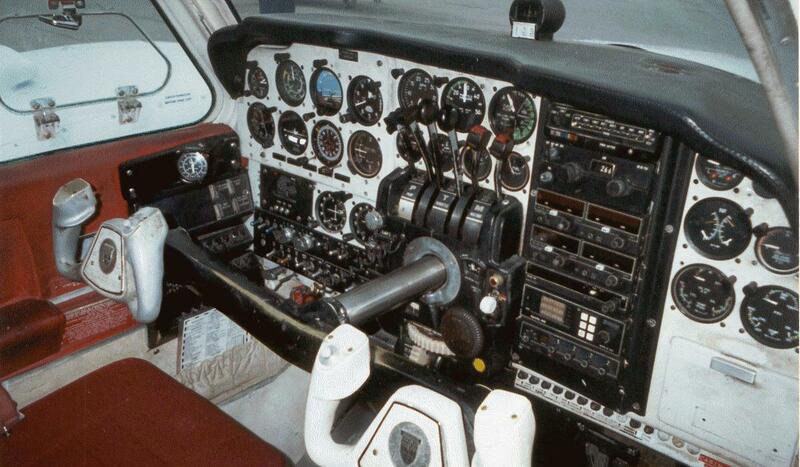 People from 17 to 97 have become private pilots. I wear glasses. Does that mean I can't fly? Absolutely not! There are thousands of airline captains who wear glasses. All pilots must carry an FAA medical certificate. Your instructor can refer you to a doctor who is an Aviation Medical Examiner (AME). It is fairly easy to get a Third Class medical certificate, which is all you need to fly as a private pilot. No. Injuries in aviation are comparatively rare. They are much less common than automobile-related injuries. According to insurance statistics, flying an airplane is safer than riding a bicycle. Although incidents and accidents do happen, the overwhelming majority of them are very preventable, the result of careless, reckless, or just plain absent-minded behavior. Most of them would not have happened if the pilot had carried out his basic responsibilities, including thorough preflight planning and inspection. (For example, a significant percentage of accidents occur because pilots run out of gas. Sad, but true.) So if you use prudence and common sense, you will find flying to be an extremely safe activity. All good instructors make it a high personal priority to see to it that their students become proficient pilots with sound judgment and good decision-making abilities. How do I learn all the academic subjects like meteorology, navigation, aerodynamics and aircraft systems? You can do it one of three ways. 1) You can study on your own, 2) you can receive individual tutoring with an instructor, or 3) you can attend a formal ground school course. How much does ground school cost, and how long does it take? I used to teach a nine-week course which met Tuesday and Thursday nights from 7:00 until 10:00. Tuition was $150. This is a fairly typical arrangement. Do I have to go to ground school first? No. You may begin flight training immediately. You can literally make an appointment, drive to the airport, get out of your car, get into an airplane with an instructor, and take off. You can complete your ground training before, during, or after your flight training. Once again, it's all up to you. Taking ground and flight training concurrently, however, is ideal. Yes. It is a 60-question government test. Your instructor can help you prepare for it. You can also study for it on your own using one of the various test prep guides available. When do I take the written test? Whenever you feel ready and your instructor finds you adequately prepared. After you pass the test, it is good for 24 months. You must take your oral and practical (flight) tests within that time. Otherwise you will have to take the written test again. How long does a private pilot certificate last? Forever! It's good as long as you live, unless it is suspended or revoked by the FAA. There are also certain minimum requirements you have to meet in order to stay legally current. Can I change schools or instructors after I start? YES! Many people quit their flight training because their instructors left to become airline pilots, or because their instructors were simply not working out for them. You can always get another instructor! Don't settle for someone who isn't giving you your money's worth. You deserve to get what you pay for: high-quality, focused flight training from someone who cares about your success in the air. You can change flight schools and flight instructors as many times and as often as you need to. Once I know how, can I teach my friends how to fly? No. Only a certificated flight instructor (CFI) is authorized by the federal government to give flight instruction. In order to be a CFI, you must first be a commercial pilot with an instrument rating, and you must also pass an extremely long and rigorous practical test (checkride) as well as two different written exams. CFI’s are not only trained to be very good pilots, they are also trained in human psychology, the learning process, and teaching methods. The burden of legal and ethical responsibility on a CFI is enormous, and so only highly qualified and experienced pilots who demonstrate a superior level of knowledge and skill may let others take the controls. If you are ever flying with someone else who is not a CFI, do not allow them to give you informal flight instruction. Accidents have happened this way. How can I become a professional pilot? In order to fly for a major airline, you must have at least a commercial pilot certificate with an instrument rating and a multi-engine rating. More importantly, you must also have thousands of hours of experience as a pilot. To get that experience, you must first spend several years building up your time working at entry-level flying jobs such as dusting crops, carrying skydivers, towing gliders or banners, hauling light freight or giving sightseeing rides. I built up my own flight time as a Part 135 cargo pilot. I enjoyed it so much that I did it for 13 years! I eventually got promoted into management and was able to do something that a lot of cargo pilots struggle to do -- make an actual decent living. See my photo-essay "A Day in the Life of a Freight Dog" if you want to see what the real world of single-pilot cross-country IFR Part 135 cargo hauling is like. It wasn't glamorous, but every day was an adventure! You may also choose to become a flight instructor to build time. Flight instructing is a demanding but rewarding job. It's not for everyone. In some ways, it is the toughest and most important work in aviation; it is also one of the lowest-paying and sometimes the most thankless! It can also be a lot of fun, but only if you sincerely enjoy teaching. In order to do any of those things, however, you still must have at least a commercial pilot certificate (250 hours minimum), and in most cases you also need an instrument rating. You must get a private pilot certificate first, no matter what else you decide to do later. So I always recommend to prospective but uncertain students who are considering a flying career that they go ahead and become private pilots. Some may elect to stop there. Others may elect to continue beyond that point. Many people find being a private pilot perfectly adequate and fly that way for many satisfying years. You must be at least 16 to solo an airplane and at least 17 to become a private pilot. Open up the yellow pages and find "flight instruction," "airplane instruction" or "aviation instruction." Or visit Be a Pilot to learn more. Here is an APPROXIMATE breakdown of the training you will receive pursuant to your private pilot certificate. Remember that all training is individually tailored. The phases listed here are not formal or official. They are only general guidelines. If you fly 2-3 times a week, it will take you about 4-6 months to become a private pilot, and will cost approximately $2,500-4,500. Federal Aviation Regulation (FAR) §61.109 requires at least 40 hours of experience, but that is only a minimum. Individual rates of progress tend to be very different, and some people find that it takes much more or much less time and money. One thing is certain, however: the more often you fly, the faster you will learn. Conversely, flying less often than once a week will result in an extremely slow rate of progress, and will therefore ultimately lead to greater cost. You will practice these maneuvers until you are comfortable with them, and can perform them consistently within the FAA PTS (Practical Test Standards). You will practice these maneuvers until you are comfortable with them, and can perform them consistently within the FAA PTS. Finally, you will get ready to take your FAA practical test. NOTE: The preceding material was written by Austin S. Collins. The information contained herein is for general purposes only and does not replace the facts available from applicable official publications. BACK to the main table of contents.